SHANGHAI — It's still early, but it looks like Ferrari is back. 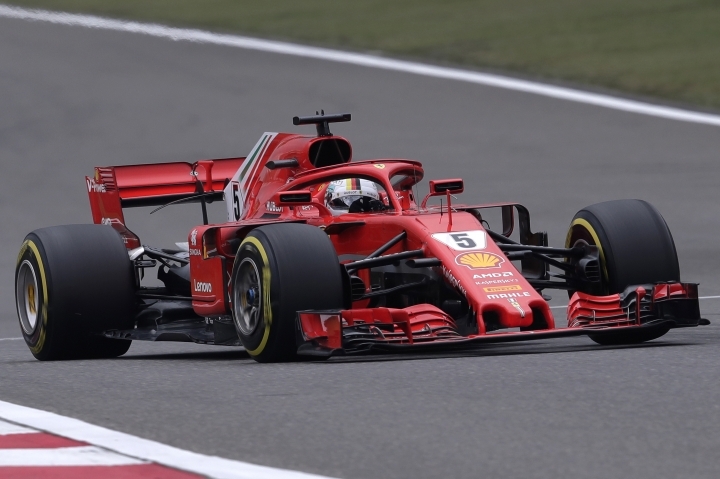 Ferrari's Sebastian Vettel claimed pole position for Sunday's Chinese Grand Prix, where the German will be going for his third straight victory to open the Formula One season. Vettel and Ferrari teammate Kimi Raikkonen will start on the first row in Shanghai. Mercedes, which has dominated the last four seasons, will start on the second row with Valtteri Bottas ahead of No. 4 Lewis Hamilton — the defending and four-time series champion. 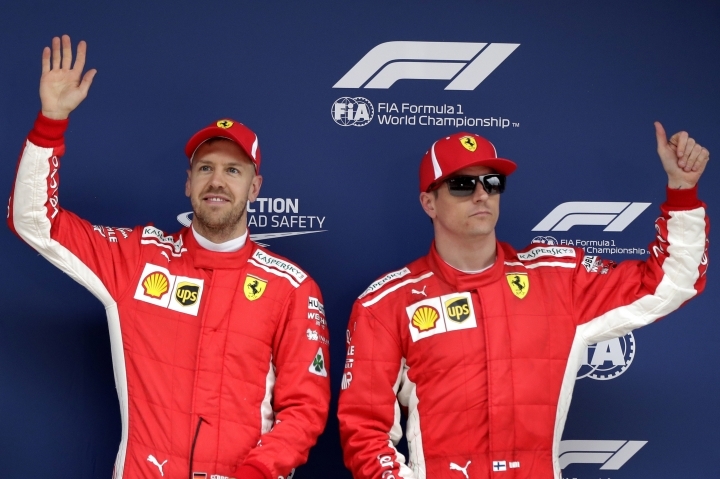 The famous Italian team has not won a season title in 11 years with Kimi Raikkonen champion in 2007. But Bottas is already hinting that rival Ferrari is the team to beat. 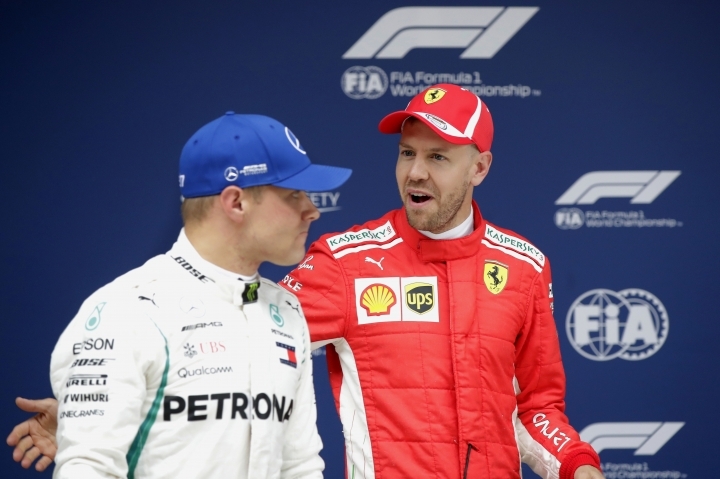 Bottas was asked if he was surprised by the Ferrari advantage. "Yes we are," he said. "We thought coming into today that we'd be fighting for the pole position. But it was definitely out of reach today." Both Ferrari cars were 0.5 seconds faster in qualifying than either Mercedes, a huge gap in F1. 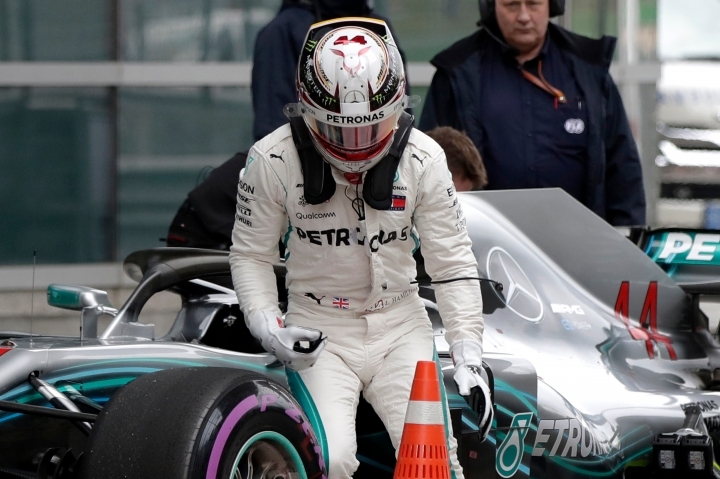 Bottas, in fact, suggested it might be too much to make up on Sunday. "They have a really strong car," he said. "We can see it, especially in very long corners." Hamilton also seemed to accept the Ferrari dominance. "It's not going to be easy to beat Kimi and Sebastian tomorrow," he said. "They're the quickest on the straights too, so overtaking will be tough." 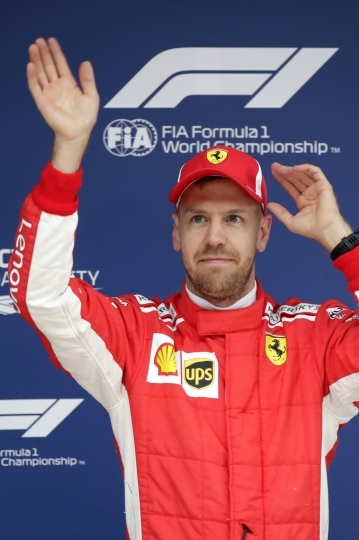 Vettel, who claimed the 52nd pole of his career on Saturday, is off to a tremendous start as he chases his fifth title. Hamilton is also trying to win his fifth, but has been overshadowed so far by his long-time rival. "The car was really amazing," Vettel said. "It just kept getting better." 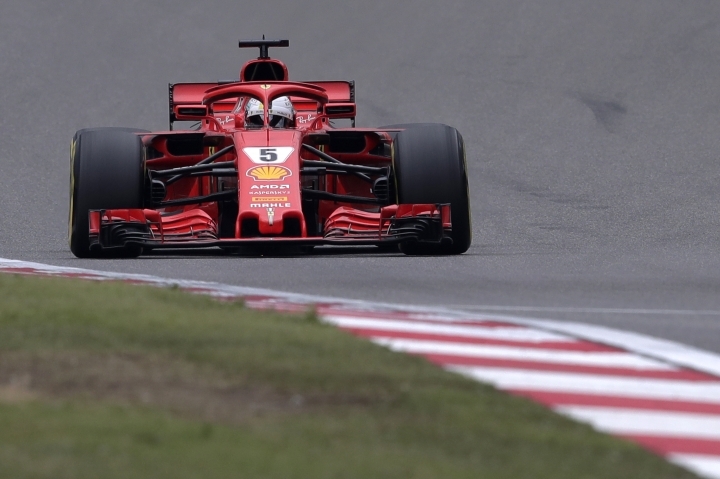 Vettel had his quickest time on his final qualifying lap, clocking 1 minute, 31.095 seconds on the 5.45-kilometer (3.39-mile) course to edge out Raikkonen. 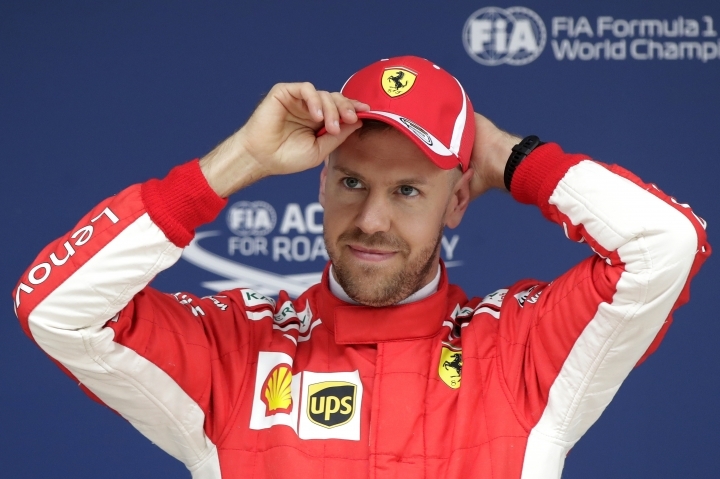 "I knew I could step it up, because I had a lot more in me," Vettel said. 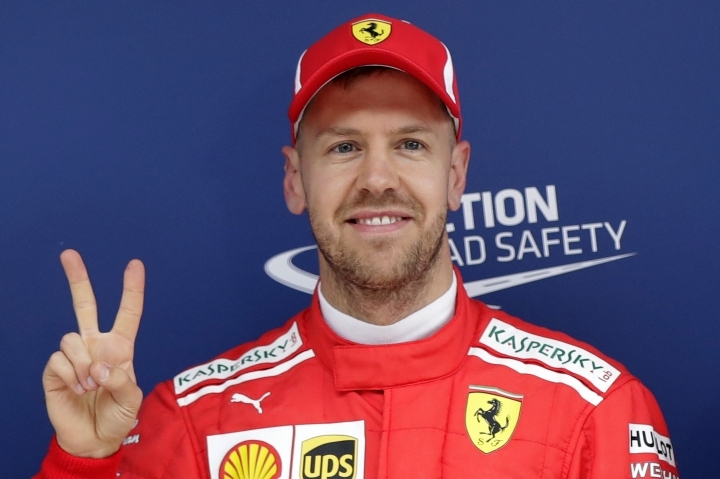 Vettel won in Australia, and last week in Bahrain. Now comes China. Another track, but Ferrari still looks dominant. "The first races have been a bit different," Vettel said. "The tracks are quite different to each other. To have that much of a gap (over Mercedes), it is a surprise." Saturday qualifying was chilly and windy, and damp in places from overnight rain. Sunday will be warmer with temperatures near 20C (68F) at the circuit outside central Shanghai. "It should be hotter tomorrow," Hamilton said, "which could turn everything on its head." Hamilton is being hopeful. However, he might still be viewed as a favorite on Sunday despite missing pole position. He has won five times in China, including last year, and has taken pole six times on the Chinese circuit. The third row will be made up of the two Red Bull cars, showing the dominance over the last several seasons of Ferrari, Mercedes and Red Bull. Max Verstappen will start from the No. 5 spot and teammate Daniel Ricciardo in the sixth position. "We definitely have work to do," Bottas said.